I’m taking a day off from writing today. Instead, I will publish a few reader comments with some of my responses. I cannot remember the last time Larry was correct. Keep in mind he “cycle” thing went bust last year as well. Just how well did he do on his silver short last week? 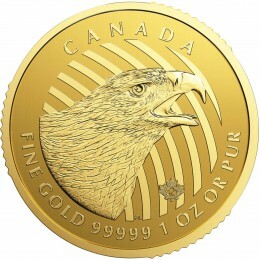 Edelson often states that he likes and is even bullish on gold but always in the future. Can’t remember him ever saying: Buy gold now. His refusal to recognize manipulation in the market is remarkable as is his charts fetish. These TA guys have sunk so many years into their analysis that they simply cannot allow themselves to consider the possibility that they may not be correct. It would destroy their world-view. Therefore they must religiously cling to their uncompromising positions. They cannot be changed. As usual, I find your material both factual and compelling. At my age it would be so easy to sit back and pretend that disaster will only come to the other guy. Unfortunately, that is not the case. Two things in your newsletter grabbed my attention: (1) Trader David R. and (2) Egan-Jones. Trader Dave may just be placing emphasis on another part of the ongoing scheme. It would not surprise me in the least to find out that high frequency traders, bullion banks, and our beloved government are all in collusion. At any rate, from my point of view, they are all pieces of the same puzzle. As to Egan-Jones, they have the audacity to blow the whistle on this whole scheme instead of learning to be nice little sheep and “play the game” with the paid crooks from Wall Street. The SEC as a complicit part of this whole facade of course will go after them. There is one little problem, however: the SEC may find itself in the untenable position of having to explain its tactics as the whole tawdry lawsuit is laid out. Mind you, of course they will go to extreme lengths to protect themselves and hide behind government immunity, but eventually when the edifice begins to crumble, Egan-Jones warning shots will be considered prophetic, indeed. Once again, many thanks for your continued efforts. 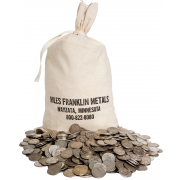 Although I am far from wealthy, I do pass your firm on to friends and acquaintances as being totally reliable for precious metals purchases. Great piece. Also loved the one a while back about your daughter with different views. You are humble enough to know you don’t know it all, and yet courageous enough to take stands and make decisions anyhow. You express it well. Just a note to say that your Miles Franklin daily newsletter is the greatest I have ever observed and I look forward to them each day. Also, I have in the past purchased silver from you twice, and plan on purchasing more silver. Also, I have been in the Insurance sales industry for 29 yrs. as an independent and currently represent a silver & gold company, however not happy with them, presently. So, I would like to call you on this after 10-8 12 and speak with you. I am a three-year customer of MF and have been very pleased with the service, pricing and information. 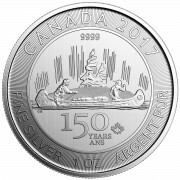 I read the newsletter Daily Gold and Silver Summary as often as I can. Yesterday you commented about gold confiscation and the solution to it as putting the PM in storage offshore. What I have read about confiscation reveals a split of 50/50 on either side of this grave concern. The article you refer to says confiscation is likely because Uncle Sam has everything to gain and little to lose. So, we know desperate governments will do desperate things. Look at Argentina when private wealth is confiscated and businesses are now being taken over as public. Therefore, since you and I are citizens there is nothing to prevent the gov. from calling all citizen’s gold in from anywhere in the world. All they have to do is tell you to bring the gold home and if you don’t you go to jail. They already tax US citizens living and working overseas. I would like your explanation why you think your gold is safe in Montreal. Secondly I would like your opinion about when confiscation could occur. You hinted it could be based on a price level or when China, Russian, India, etc. 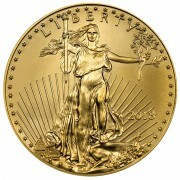 move toward another currency tied to gold. I think it could be that, but what I believe will occur first is that the dollar will endure severe threats to it’s reserve status. There is already talk and some action going around the dollar for trading. But if there is a severe threat, and I believe it will come, then the only way the US will salvage the dollar will be to tie it to gold BEFORE other countries can adopt the SDR or other currency. Price is irrelevant, but of course if the dollar is in severe threat, gold will be high. Please comment. Everyone has an e-mail address under ‘contact us’ except you! Count me as one of your (and Andy’s) addicted readers. I search for your newsletters as soon as I get to my computer. Your information and perspectives are invaluable in following the economic disasters facing us. The information you provided from David R. and the responses from both Bix Weir and Andrew McGuire are fascinating. Since you know David R. very well, why don’t you invite his response to specific points made by those two, especially regarding the availability of physical metals? Also, on that same important point, why don’t you take David R. up on his offer to actually visit the vaults and see the metal? I would have thought you would have jumped at that opportunity. I don’t feel a need to validate his position and going to London to check out the silver in JPMs vault seems hardly worth the time and expense. However, the offer still stands and anytime I want to go he will accompany me. First, understand that David R is very, very successful and runs his own personal hedge fun, with one or more wealthy backers. He would rather be low key and out of the limelight. He gets no benefit from debating experts from our industry though I’m sure he could more than hold his own. His view is simple – own gold for the next three or four years and you win. Anything else is merely an exercise in wasted emotion and effort. I agree. Here are his last comments on the articles written with the purpose of discrediting his data… “You can continue to claim banks are manipulating the gold price, but you are giving the banks way too much credit. There is bigger money and bigger players now involved in gold and the futures market masks that now. These algo’s also play hell. All of the banks are having a real tough year trying to trade against these machines.” The focus should be on how he views the gold market, not on WHO is causing the manipulation. In that regard he said, “I think we will continue to see Central Bank and good physical demand on any dip below $1,750 now. I am surprised that we are not at $2,000 yet. We have to await the election results I think. But with the FED printing more money now (open ended) gold will be supported. I am currently in Florida and all of my wealthy friends are long cash waiting for dips to buy physical gold and silver. I was out with some big money Hedge Funds in New York last Tuesday and they were all bullish gold, as they don’t think the public has really understood what the Federal Reserve has done to them and their savings………. I just don’t know who will sell gold here.” That’s what my readers need to hear, not a debate on who knows more about who is doing the manipulation.